Precast concrete placement may be the most cost effective solution depending on the type of repair needed. Using precast components, cofferdamscan be eliminated and underwater construction can be expedited. Divers can be used to remove degraded concrete and prepare surfaces for the precast attachments. Embedded dowels are used to attach the components to the existing concrete, anchored into placed using high strength-grouts. This is a great solution when embedded metals are required as it allows a high level of quality control in the initial casting of the component. 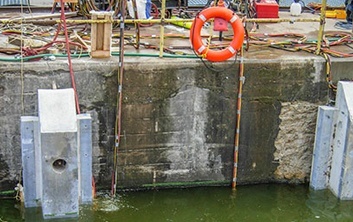 Installing precast concrete components requires close coordination between topside and underwater crews. It can be carried out from a floating marine plant, or from the side of the dam itself. 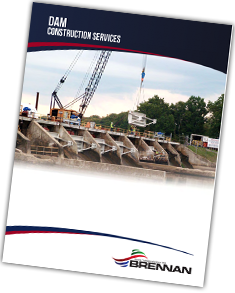 Several structures such as pier noses, fish screens, trash racks, and even bulkhead slots are ideal structures for considering precast options. Want more information on precast concrete placement? Fill out the form below!